A Wicomico County man who billed himself as “OCSharkHunter” on social media was charged Sunday with guiding fishing trips without a license. Nicholas Ager, 43, of Willards, was cited after a two-month investigation of complaints about offers of paid shark fishing excursions on Assateague Island. 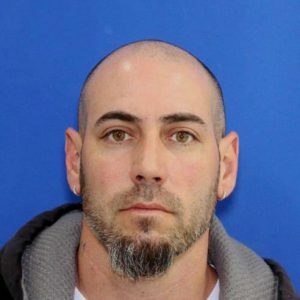 Maryland Natural Resources Police officers were able to identify Ager as the unlicensed guide and administrator of “OCSharkHunter” social media accounts on Facebook and Instagram. Those accounts had been reported for displaying pictures of Ager with illegally beached species of sharks taken from waters off Worcester County. Undercover officers booked an Aug. 19 trip for $750 with Ager to catch large-shark species from the Over Sand Vehicle portion of Assateague Island. They found him waiting for them at the arranged time and place. In addition to state charges, Ager faces federal charges for operating a business on public land without a permit. A court date has not been set. If found guilty of state charges, he could be sentenced to up to a year in jail and fined $1,000. A Kent Island seafood dealer was found guilty and fined $8,700 Aug. 17 in Anne Arundel County District Court for improperly tagging oysters. Harris Seafood Co. LLC, of Grasonville, failed to label oysters in a delivery truck as either “wild caught” or “farm-raised shellfish,” as required by state law. The violation was discovered May 28 during a cargo inspection along U.S. 50 in Anne Arundel County conducted by Maryland Natural Resources Police officers and Maryland State Police commercial vehicle inspectors. On June 4, officers met with Jason Ruth, Harris Seafood’s resident agent, to issue 30 citations for failing to label the oysters as farm raised. Ruth and the company pleaded not guilty to the charges. In addition to the fine, Harris and its agent were placed on unsupervised probation for one year. A vessel stop Sunday on Deep Creek Lake resulted in the arrest of two people on charges of boating while impaired. Young Hoon Park, 28, of Fairfax, Virginia, and Aliyah Mahmud, 24, of Clifton, Virginia, were stopped by an officer shortly before 5 p.m., after he noticed a passenger riding on the stern of the vessel. Before they stopped, Mahmud, who was at the controls, got up and sat down near the bow and Park took over. The officer believed both people were impaired and administered field sobriety tests. They were arrested and taken to the Maryland State Police barrack in McHenry for further testing. Park refused to take an Intoximeter test. Mahmud took the test and registered a blood alcohol content of 0.19, more than twice the legal limit of 0.08. Each boater was issued three citations for impaired operation and one for negligent operation. They are scheduled to appear in Garrett County District Court Sept. 26. If found guilty of all charges, each could be fined as much as $2,320 and face jail time.